Victory - Honor God. Make Disciples. | 2012: Bring it on! You are here: Home / 2012: Bring it on! 2012 is officially here! At the beginning of 2011, we believed for breakthroughs and made commitments to stand firm on God’s promises. It may have had its ups and downs, but one thing is for sure: God showed Himself faithful to us the past year. 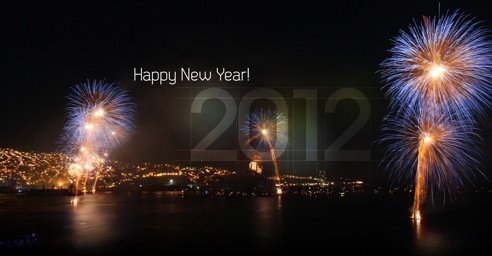 As we look to 2012, let us be expectant for the new year and the new opportunities to honor God and make disciples. What are you in faith for this year? Tell us about it! Type in your faith goals or prayer requests for 2012 using the comment box below. Mahaba siya eh..pero ill share one: Salvation of our Family Clan. Deeper dependence on God in the AREA of PRAYER. More blessing to share for others!!!!! to get to know God deeper. have a intimate relationship with him. and to depend on him as my true and only savior. Salvation of my family.. For them to experience having Christ in life. Clearer understanding of God’s calling and plans to my life. Marami eh. Una yung salvation ng family ko pati ng mga kaibigan ko. Pati na rin yung church saamin. Saka sana makagraduate na ko in two years! Since the last 2 wks of 2011, I’ve been trying to think of my 2012 faith goals but have been drawing blanks. Today, 4th of Jan, I decided to go back to previous years’ podcasts on 7-Day Prayer & Fasting and was blessed by Pstr. Joseph Bonifacio’s Day 1 – 2010 preaching on “Wisdom”. I needed to hear that message of two years ago! My sin of self-sufficiency has kept me from putting God where He’s supposed to be, even in this whole process of listing down faith goals. I would like to strengthen my faith in God as well as my parents. I’d hope to live in a peaceful and happy life with me parents and with God. One of the faith goals the Lord has placed in my heart is to open my house to a bible study. At my age I cannot keep driving around to meet small groups in various places so I decided why not open my home to a bible study? I am in my 50′s but I dont mind hosting. I live in Magallanes Village in Makati and dont know everyone yet because I just renovated our home here so we are newcomers to this area. I just want to meet more people from Victory so I had this idea. If anyone out there is interested just comment back here To God be the Glory!! Hi, Grace! Thanks for the invite. Please get in touch with Victory Makati so that they could connect others to join your group. Thank you! Hi Ms. Grace.. I think God led me here to see your comment.. We are living in Magallanes village as well. Please count us in if you’ll have bible study. salvation ..finding true happiness ..forgiveness and acceptance ..